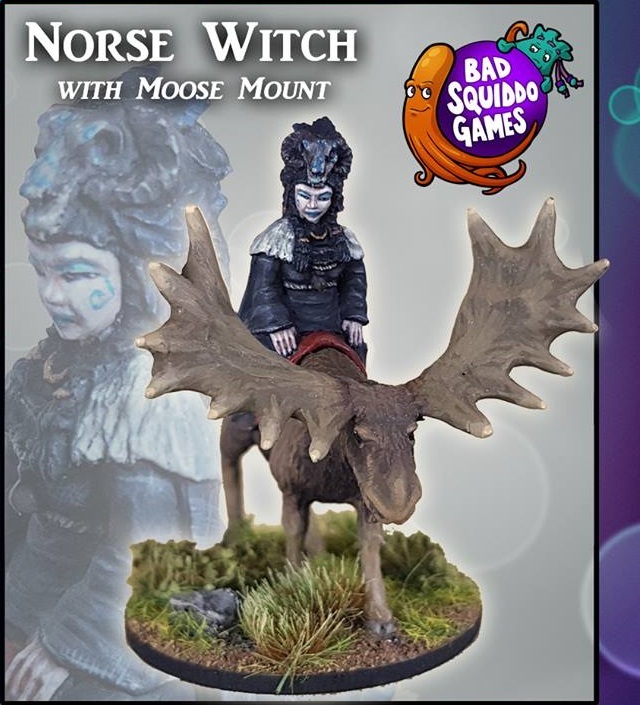 Changed title from "Viking heroin and female shaman in 28mm" to "Viking heroine and female shaman in 28mm"
Viking Heroin? Is that with or without fentanyl? Probably with. It's a trademark of the Copenhagen Cartel. Look, if you spent your life in the snow eating lutefisk, you'd probably have a drug habit, too! "Viking heroin rescuing her 28mm beloved"
How can you tell? Is it the long hair? 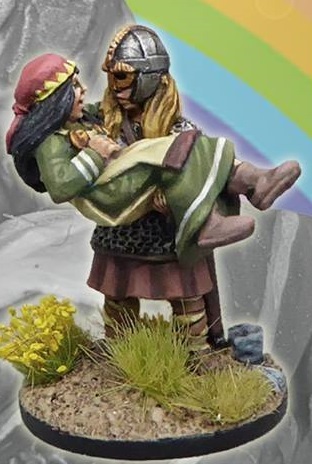 Actually Bad Squiddo titles this pair as "hardy shield maiden rescues a villager from peril" with no further inferences. "Louise, I think this is the beginning of a beautiful friendship."